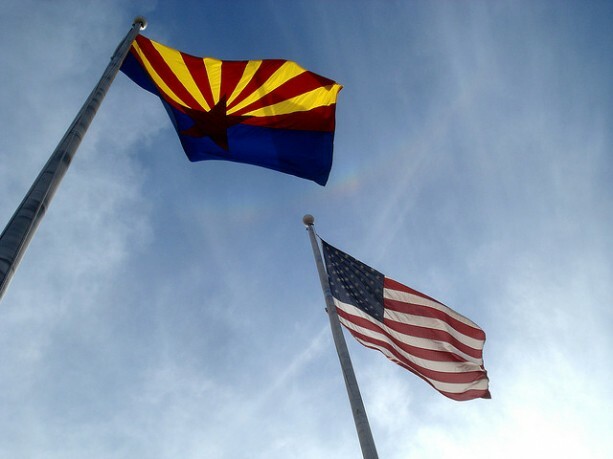 The United States Supreme Court last month made headlines with a 5-4 decision to strike down a key provision of Arizona’s campaign finance law that gave additional funds to candidates facing wealthy opponents. But a better story lies in the case history: What was Arizona, land of libertarianism and the free enterprise spirit of Barry Goldwater, doing with such an egalitarian law in the first place? The answer reveals a central divide of modern conservative politics: the fissure that separates the Supreme Court’s libertarian and intellectual views on campaign regulation and the “law-and-order” activism of conservatives who play politics in rough-and-tumble places such as Arizona. The campaign finance law in question is called the “Citizens Clean Election Act,” but its roots lie not in legal debates but in the muddy history of Arizona’s politics – and in three major political scandals over the last generation. The first scandal: In 1988, Republican Governor Evan Mecham was removed from office by the state senate as he faced the threat of recall – and felony charges – stemming from a series of controversial actions, including his misuse of campaign and public funds. The following year brought the second scandal: a U.S. Senate investigation of the “Keating Five” for exercising undo influence on federal investigators on behalf of a campaign contributor, Charles Keating, Jr. Among those investigated were Arizona’s U.S. senators, the Democrat Dennis DeConcini and the Republican John McCain. Finally, just as the U.S. Senate ethics committee was releasing its report on the Keating Five in 1991, a sting operation by the Phoenix Police Department produced the scandal known as AzScam. Seven state legislators were caught accepting $370,000 in bribes from “gaming consultant” J. Anthony Vincent in exchange for their support of his gambling enterprises. In fact, the man they believed was an experienced criminal operative flush with Las Vegas cash was undercover agent Joseph C. Stendino. One video produced as evidence showed a lawmaker stuffing money into a gym bag while joking about the presence of the very hidden cameras that were recording the transaction. Many of the bribes came in the form of campaign contributions. Coming on top of these three scandals, the 1997 bank fraud conviction and forced resignation of Governor Fife Symington offered the final impetus for reform. The governor’s conviction was later overturned by the courts, and President Clinton pardoned him. But the impact of losing a second governor shook Arizona’s political establishment and forced action. The very next year, Arizona voters approved the campaign finance law at the ballot. Under the new finance regime, candidates qualify for public financing by collecting a certain number of small donations. (The exact number varies depending upon they office the candidate is seeking). Candidates also must comply with limits on the size of individual contributions they can collect and the amount of their own money they can spend. Once candidates receive public funds, they must stop accepting private contributions. But a crucial provision of the law added another way to even the political playing field: candidates could qualify for additional public funds if their opponents or independent groups significantly outspent them. That matching funds provision was what the Supreme Court struck down as unconstitutional. Supporters of public campaign financing voiced relief that while the Supreme Court decision disrupted the particulars of the law in Arizona and some other states, the court did not strike down all public financing schemes. But this isn’t the most significant distinction in the case. Far more important – and problematic – is the Court’s logic that campaign behavior and governance are two separate entities. Many conservatives in Arizona, unlike their counterparts in D.C., understand that the two are linked. This understanding is born of all those scandals. The Mecham impeachment, “Keating Five” investigation, AzScam, and Symington conviction served as potent reminders that political behavior is inseparably linked with campaign financing. Seeking to clean up government without addressing campaign finance is a fool’s errand. Arizona’s public financing law wasn’t a progressive exception in the state – it was part and parcel of its history of embracing the conservative values of law and order. The Supreme Court, speaking from far away, did not understand that the law was not a matter of regulating free speech, but an attempt to regulate the behavior of office holders. A candidate struggling to raise cash in a contest against a wealthy opponent will need to find deep pockets of his or her own, often granting at least an implicit promise of future aid and access. Arizonans know this too well. The Supreme Court, with its conservative “originalists” who say they ground their decisions in the original history of the country, got the history wrong. Arizona’s clean election law was less about campaigning than it was about good government; less a contradiction of libertarian conservatism than an embrace of “law-and-order” conservatism. Voters in a famously conservative and infamously contentious state came together in their recognition that campaign coffers don’t only pay for campaigns. And campaign funds often purchase much more than speech.